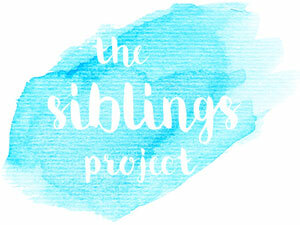 Siblings has to be one of my favourite project to write about and document. Even before I had Ava I knew that I'd have to take part once she arrived. It's now the fifth month I've published and you can see my March, April, May and June posts here. It's amazing to look back and see how much Ava has changed in such a short amount of time and Noah has too, he seems so much more grown up since Ava was born. Our photo's each month are quite candid moments and shot quickly on my camera. I do get my big camera out every now and again but these type of shots just seem to be what I opt for each month so I'm kind of sticking with that theme. 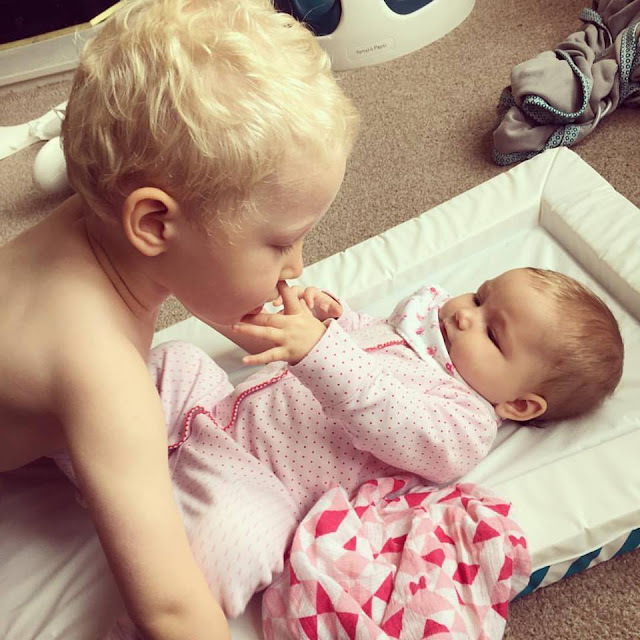 Noah is now three and a half and Ava is just about to turn five months old and they have such a bond already, it's so sweet to see. 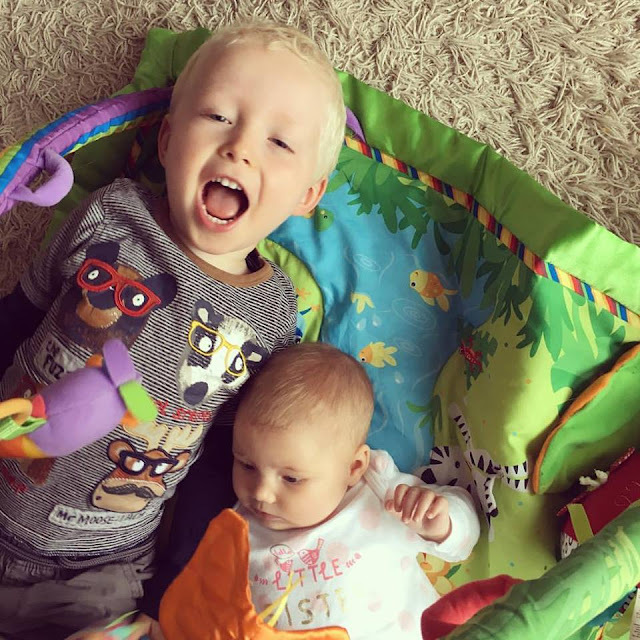 Ava idolises her big brother, she's always watching him, looking for him, smiling at him and he was the first person she ever laughed at. I have to work really hard to do something funny which will make her giggle but Noah only has to jump and she's in fits of laughter. When it comes to how Noah is with his baby sister I couldn't have asked for anything more. I always knew that he'd be a fantastic brother and he makes me proud every day with how caring and patient he is with her. I think he loves her even more now that she giggles at him because he's such a people pleaser and really likes to make people laugh. Every day I find him performing for her and she just lays there's smiling or giggling. Yesterday I watched them "play" together for the first ever time. Ava was playing in her jumperoo and when she stopped Noah would jump beside her and then she'd laugh and jump again. They did it over and over and were both giggling so much. This is what it's all about when you have two children, it's so rewarding watching their bond grow every single day. Beautiful photos and such cute children. This is what I miss with my son being a only sibling although it has made me and Charlie closer than I ever thought. Have a great day and I can't wait to see months weeks photos. Enjoy every moment. Record lots of video, and Blog on! Noah has really nice thick, wavy hair. I wonder how Ava's hair will be, given time. 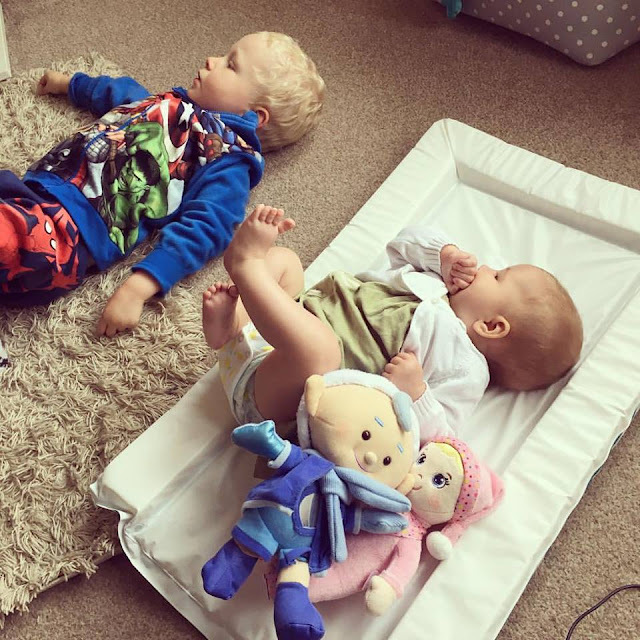 Nice to see the two children together (siblings), interacting. I like Ava's Little Sister top. I wonder if anyone knows any Sibling Quotes, Poems, Stories, etc. As it would be nice for use for photo albums, card for sibling, etc. 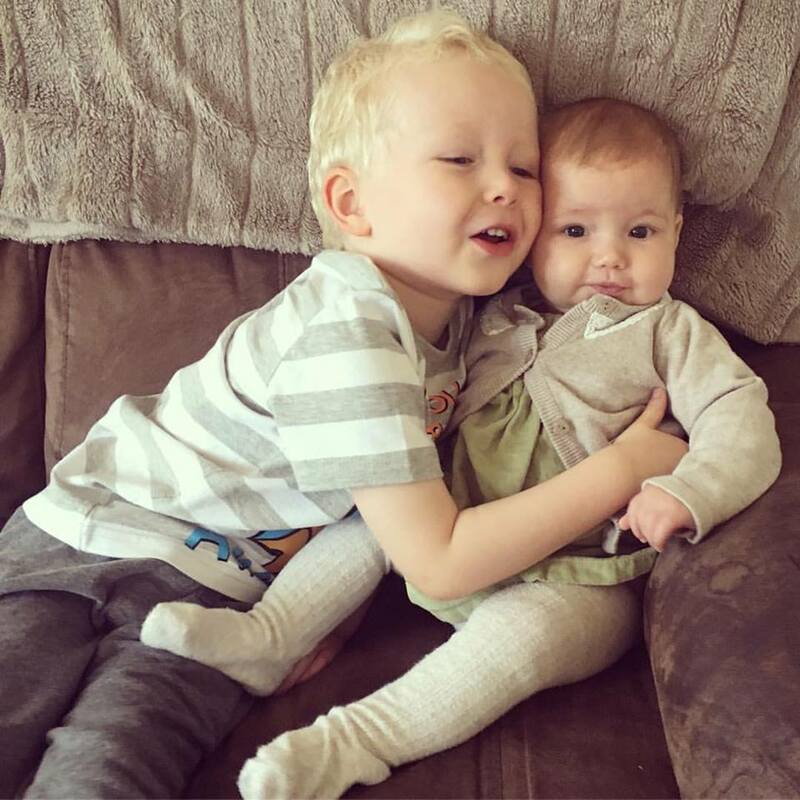 Nice to see Noah giving his sister Ava a cuddle. Apparently tomorrow (Sunday) is National Sister's Day.